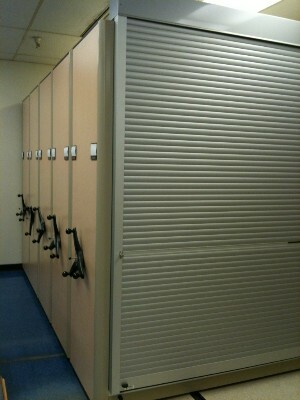 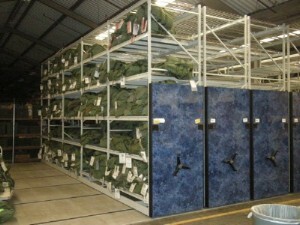 High Density Mobile Storage Systems are MTM Business Systems specialty! 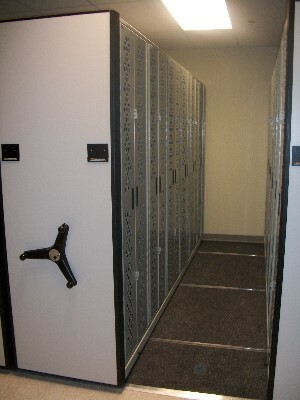 High Density Mobile Storage Systems come in different forms (Mechanical Assistance, Electric and Lateral Mobile). 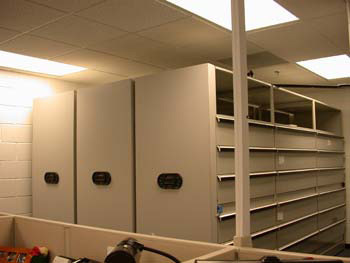 All three forms of the high density mobile storage systems take what otherwise would be static shelving and wasted aisle space and compacts the shelving. 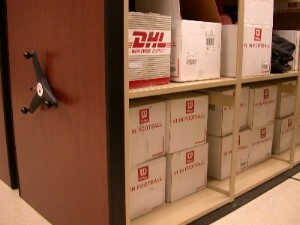 The shelving sits on a carriage which sits on top of a track that is installed on your floor. 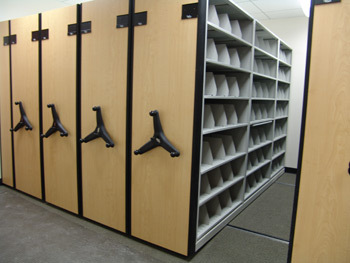 With a turn of a handle (mechanical assistance), a push of a button (electric) or a move to the side (lateral), a high density mobile storage system will greatly increase your filing and storage density. 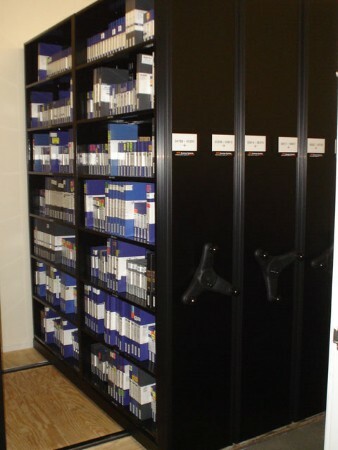 Mobile Shelving can literally be configured to store almost anything. 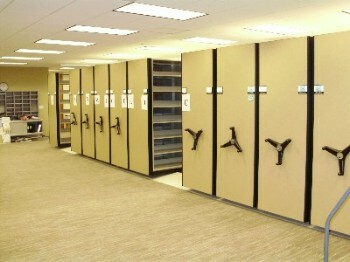 Visit our Custom Systems section of the Web site for a few of the different ways Compact Shelving is applied. 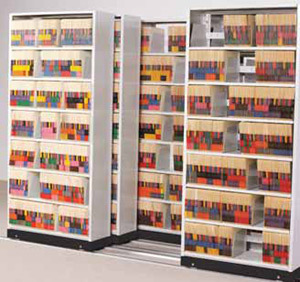 Mobile Shelving is also highly effective for high-density media storage.